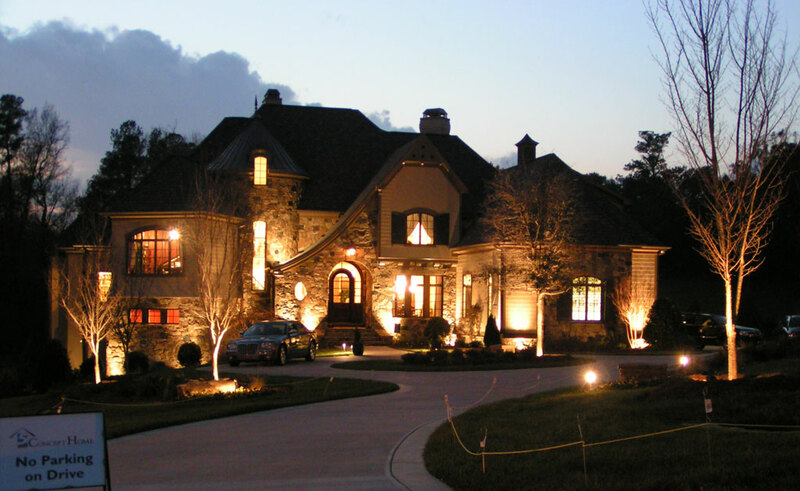 Because there are many special offers on outdoor lighting for landscapes, the process of illuminating an entire property on a budget isn’t challenging. However, in order to brighten dull areas without increasing energy costs, a few simple steps must be followed. Traditional outdoor lights can illuminate key areas around a deck and patio dramatically. However, since the bulbs in these products are very bright, they boost energy costs fairly quickly. If your property gets plenty of sunlight, consider investing in solar lights instead. These lighting accessories won’t impact your energy bill because they rely on solar power, which is only used to illuminate an environment after a timer activates. Timers can also be used with other outdoor lighting products in order to save money on energy bills. For example, during the holiday season, a timer can help you illuminate your home within a certain time frame. Highly advanced timers are worth buying if the security lighting around your home needs to run on a schedule. If you’re going to put lighting fixtures in a location where plants are already rooted, the process of wiring everything will be very time-consuming. As a result, the overall cost of setting up the lights will be slightly higher because a contractor will have to use special tools to strategically run wires along narrow gaps. The best way to save money in this situation is by putting solar lights around all of your plants that are growing. In some situations, wired lights must be used in order to efficiently illuminate very dim areas around a landscape. Since low voltage lighting systems need GFI outlets, you may have to upgrade your electrical equipment if your home is very old. An electrical contractor must tackle this project because the conduit has to be configured properly to ensure the highest level of safety. Large properties can be renovated with trendy outdoor lighting products on a budget. However, wired solutions must be used strategically to keep the total costs in a reasonable price range. Lighting systems need a transformer because a long string of wire will lose it’s voltage if the environment isn’t ideal. The cost of a transformer can impact your budget, which is why you should only run lights around the edge of your property if you’re able to spend $350 to $1500 on an electrical unit that can keep all of the lights on one circuit.